Lease payments calculated based off of a 36 month lease with 10,000 miles per year, 10% of the MSRP is down payment. No security deposit required. First payment due at lease signing. Offers exclude taxes, title and licensing fees, and dealer additions. Documentary service fee of $150 may be added to the sale price of the capitalized cost, contact dealer for details. No security deposit required, Extra charges may apply at lease termination. approved credit through INFINITI Financial Services. 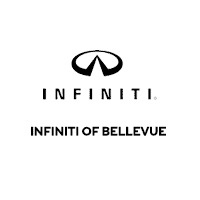 Offer excludes INFINITI of Bellevue protection package. See dealer for complete details. Expires at month end.